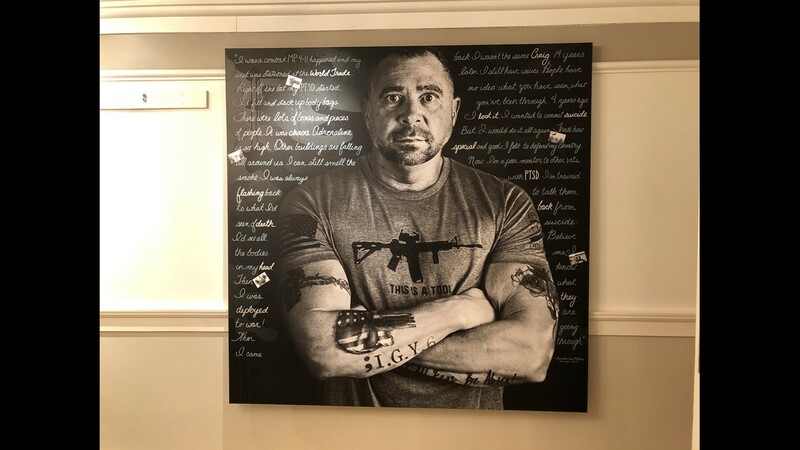 WASHINGTON — About 21 veterans and active duty service members commit suicide every day, according to the Department of Veterans Affairs. When you do the math, that adds up to a higher number than were killed in action in the past ten years in Afghanistan and Iraq. 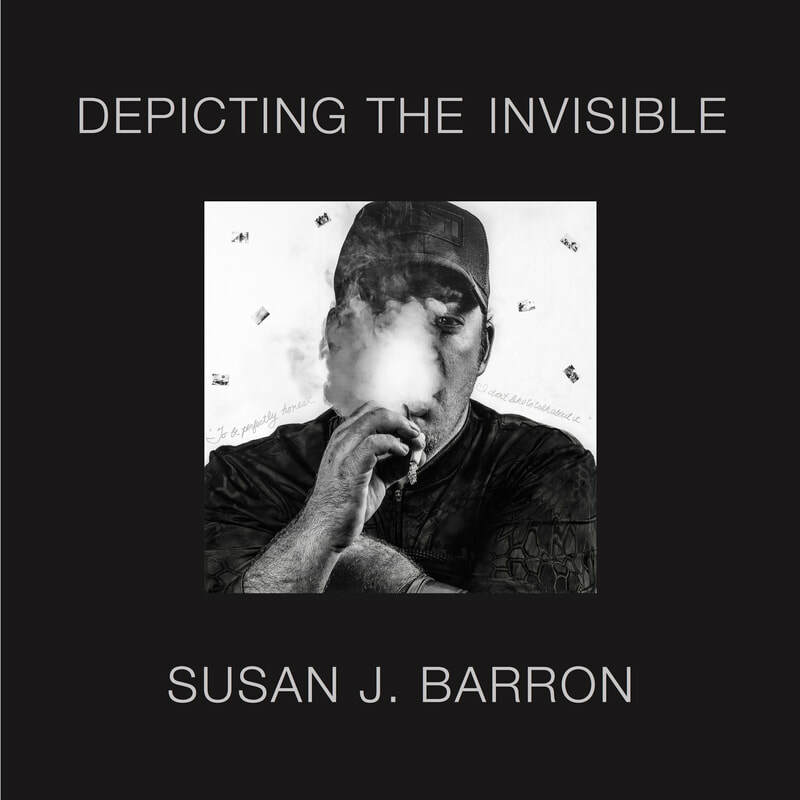 It's a number that shocked artist Susan Barron and inspired her to do something about it. 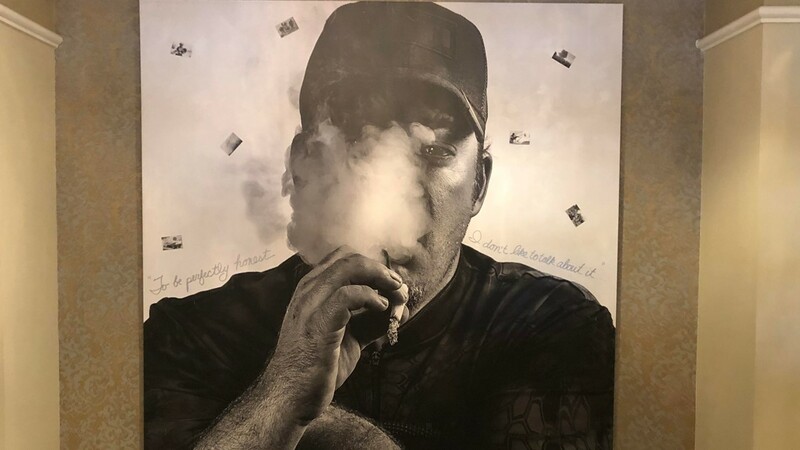 After meeting with countless vets across the country who spend every day fighting the dark cloud of post traumatic stress, she debuted "Depicting the Invisible: A Portrait Series of Veterans Suffering from PTSD." 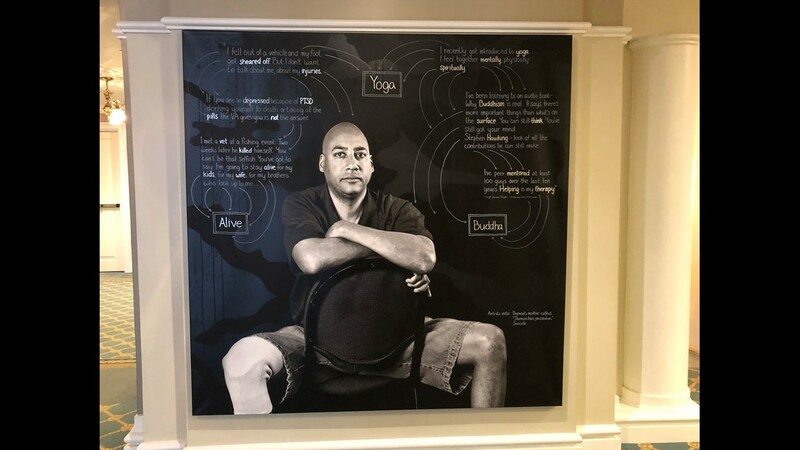 Each piece is displayed on a six-foot by six-foot canvas, with the vet staring right into the camera. "It's harder to look away from someone who is making direct eye contact with you," said Barron. 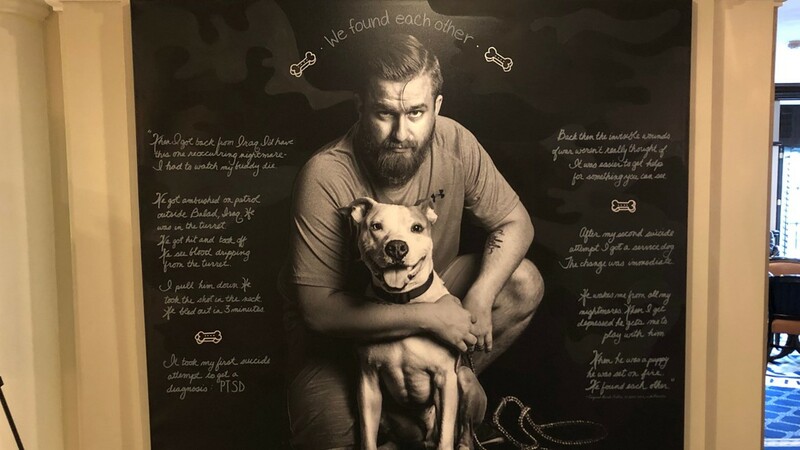 Each vet's story captures a different angle of PTSD, but the underlying theme is the same: it's a debilitating stigmatized injury that's killing them and their comrades. "They need help," Barron said. 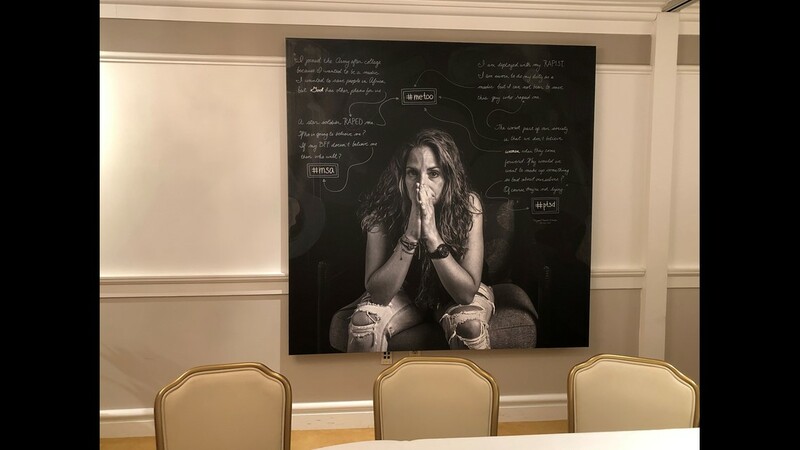 She first revealed the exhibit in New York, but now, the Army and Navy Club in Washington, D.C. is playing host to the six-foot by six-foot portraits. 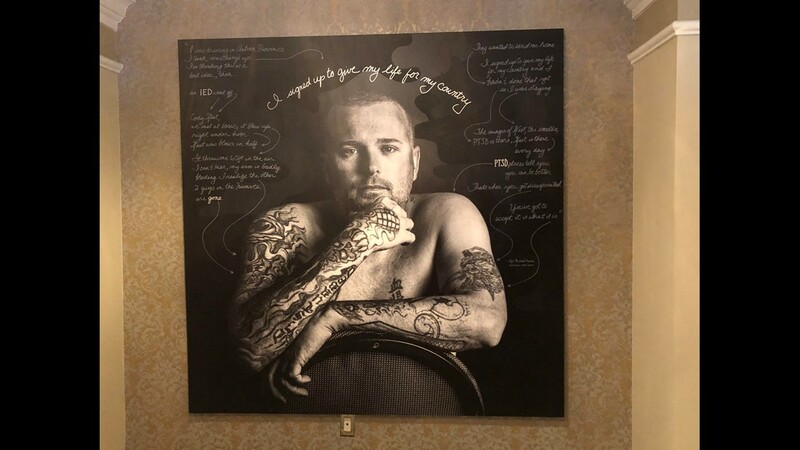 Most of the artwork hanging in the prestigious club dates back to 1890. 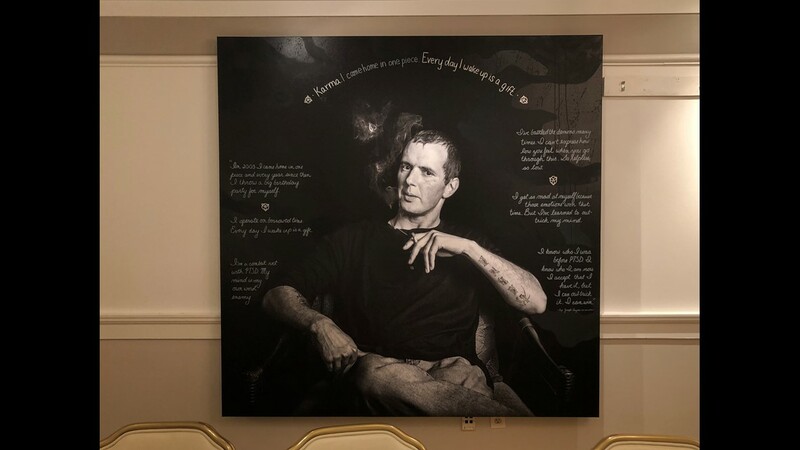 Retired Major General John Altenburg, who now serves as the chairman of Liberty Trust at the Army and Navy Club in Farragut Square, said the club only started commissioning outside artwork since 2014. When he heard about Susan's exhibit, he felt compelled to bring it to the Capitol. It's a touchy subject, though, so he says the decision was controversial. Barron says the ultimate test of her impact lies in the reaction of other vets who see her project. 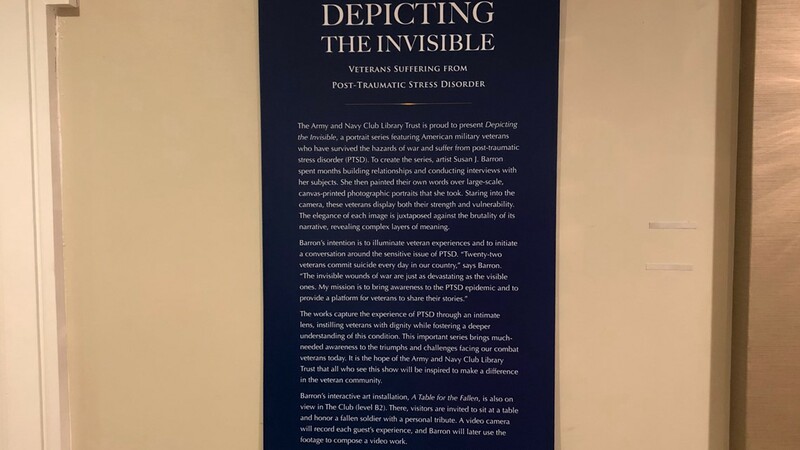 Two combat veterans suffering from PTS (it's an injury, so they don't like calling it post traumatic stress disorder), walked through the exhibit with her to share their thoughts. Jim Kuiken is a retired Sergeant Major with the United States Marine Corps., and Helyn Stowe served as a Sergeant First Class in the U.S. Army. They've both suffered numerous injuries in combat, losing friends abroad. "You can't tell by looking at me or at Jim that we've both been shot. 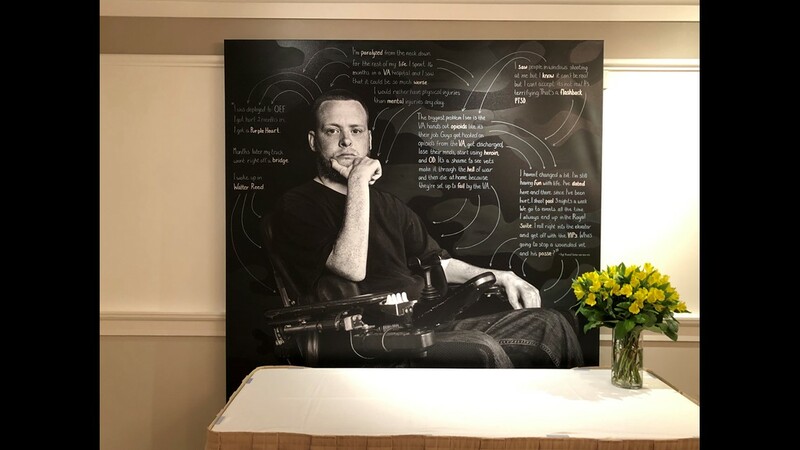 That I've had 10 shrapnel wounds taken out of my body...and I just wish people would just understand that there's a lot going on here," said Helyn Stowe. While the physical scars affect their everyday lives, they say the emotional ones are the most painful. The Major General, Jim, Helyn, and Susan sat down together to discuss the exhibit in a round table setting. One portrait-and story-in particular struck Helyn, because she said it was like "looking into a mirror." "I got back from Desert Storm, and my squad leader had sexually assaulted me. And, I got a local billet to re-enlist, and I was put out of the Army. They gave me a plane ticket back to the states, and I had no home...I'm really fighting the tears right now. I've never told anybody that," said Helyn, gazing at the portrait of another female vet who had been assaulted by her superior officer. Retired Marine Corps Sgt. 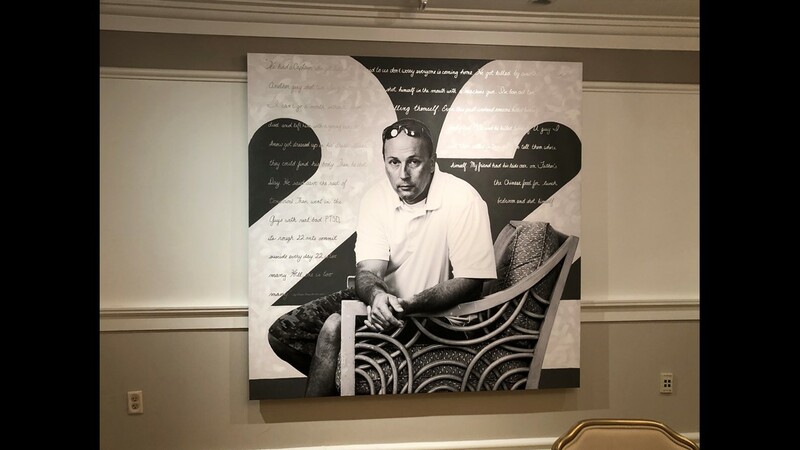 Jim Kuiken, who joined when he was 18, spent most of his time in the USMC in force recon. "I would say I was in the wrong place at the right time for 30 years in seven different wars," said Kuiken. Multiple times, he was involved in explosions and attacks that left him with lifelong injuries. "I have a lot of injuries. The one that eats me up is the PTS." 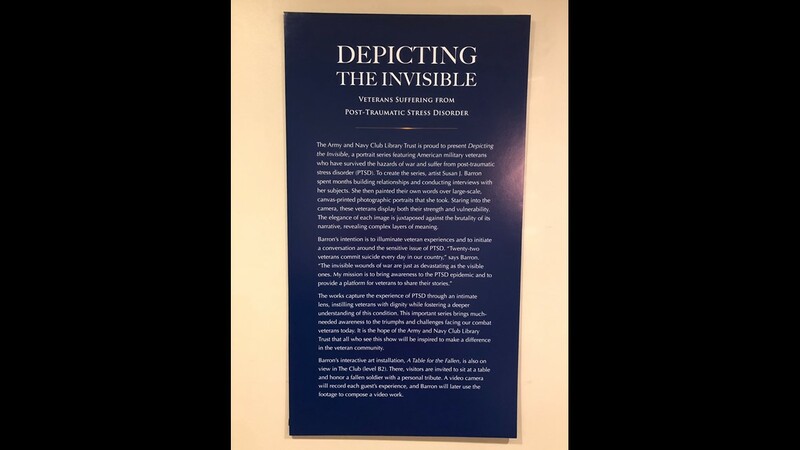 The exhibit is open to the public every Saturday from 11 a.m. to 2 p.m. at the Army and Navy Club until April 15. Dress code is a coat and tie for men and similar garb for women. 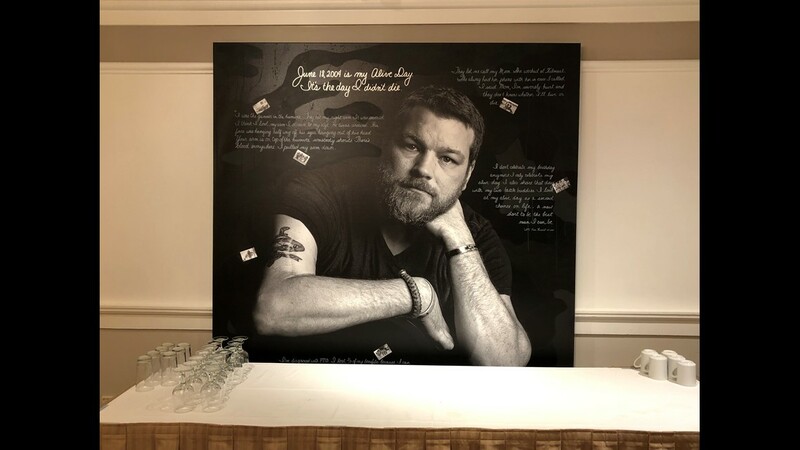 Barron is also selling a book of the portraits signed by herself and the pictured veterans to raise money for Freedom Fighters Outdoors, which caters to vets with PTSD.